The team at Cooper and Tanner Lettings have a vast portfolio of properties, managing property styles ranging from compact one bedroom apartments to large country homes, throughout Wiltshire and Somerset. We have offices located in Prime lettings towns including Warminster, Frome, Shepton Mallet, Castle Cary, Wells, Glastonbury, Street, Bridgwater, Wedmore and Cheddar all offering a tailor made service to suit every landlord and tenant's needs. The Lettings Team consists of John, Jean, Rosie, Natasha, Lynne, Shelley, Amee, Laura, Becky, Claire, Rachel, Caroline, and Marion and we have a combined total of over 100 years of Estate agency experience. We proudly boast to being one of only a few agents in Wiltshire and Somerset that have ARLA membership and take great pride in the service that we provide both tenants and landlords alike. 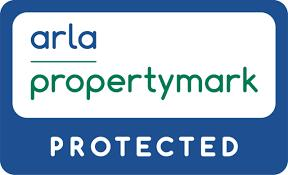 We are proud to be recognised by the Lettings industries foremost professional body, ARLA. After hours of studying and exams, landlords can be sure they are getting the best advice possible from us”. So whether you are looking to have a property fully managed or just need it to be checked over for your legal compliance then we are happy to assist you. So for advise on letting your property or to help find you a property, please call one of our local branches and we will be happy to help you.